The story opens with a familiar Biblical image-of Mary being visited by the angel Gabriel. In Brian Wildsmith's imagining of this scene, Mary is shown with her cherished cat and dog. When Mary and Joseph set out for Bethlehem, her pets are left behind. But the cat and dog miss their mistress and decide to make the journey to find her. Along the way, they stop to help various other animals who join them on the road to Bethlehem. Arriving at the stable, the animals share in the joy of the birth of Jesus. Mary is delighted to be reunited with her pets and be able to present her new baby to them. 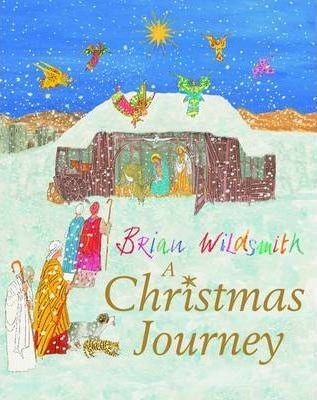 This appealing story from one of our most internationally acclaimed picture-book writers and artists has deservedly become an enduring favourite with children at Christmas time.